The announcement of the iPhone 5 today saw Apple unveil its first smartphone to pack 4G LTE connectivity, allowing users to take advantage of the next-generation in mobile communication. It's come as no surprise that the new iPhone has been LTE enabled, since 4G has been making its way around the world, delivering customers a faster connection, making web browsing, HD video downloading and streaming a breeze. 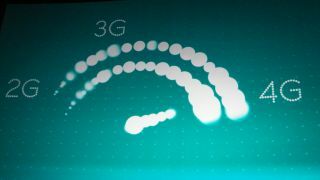 Already well established in the US, Asia and parts of Europe, the UK will enter the 4G fray in the coming weeks thanks to EE – and the iPhone is ready. A variety of networks around the world have signed up to offer the iPhone 5 on 4G, including EE in the UK and Sprint, AT&T and Verizion in the US. We don't know how much networks are going to charge you for using your fancy new iPhone 5 on 4G, but we'd hazard a guess at it all being pretty darn expensive. Currently it's not clear if the iPhone 5 will be able to roam between various 4G networks in different continents, because frequencies vary between carriers, but we'll update this article once we know more.